The trumpeter got Jericho’s walls to run out. Did a Swedish tenor in the church service give impetus to political isolation that would lead to the collapse of the Berlin Wall? As a result, he brought together Willy Brandt, then Chancellor, and the Soviet ambassador to Berlin – even in the opera house’s old age home. New eastern politics was spiked in the Helsinki Conference in 1975. The East German borders were secured in exchange for citizenship rights. Which led to demands for democracy that undermined communist dictatorships. Perhaps the mysterious Swede may resemble the butterfly of Chaos , whose wings in the Amazon cause a hurricane on the Atlantic. Mayor Willy Brandt and Chancellor Konrad Adenauer see how the East Germans travel the obstacles at the Brandenburg Gate. Armor and water cannons prevent curious coming close. Earlier in the day they witnessed how the windows were walled again on Bernauer Strasse, where 58-year-old Ida Siekmann in the morning became the first victim of the wall as she jumped out from the third floor. But who is the mysterious man next to Brandt. Long and thin, up to fifty. Gives words unobtrusively in German and Swedish. Mister X as Brandt usually calls there Schwede and opterns is called Carl Gustaf Svingel, since 1954 acting as auxiliary worker in Berlin. Both grown without dads. 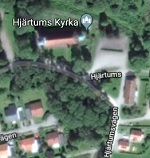 In Svingel’s case, bullying as a horror during the upbringing of a nursery in the hearth of Hjärtum. How is it that a man who has been living for over a year for the Swedish church’s rest home in Grünewald is familiar with the city mayor? Some Berlin friends know who he is: Carl Gustaf Svingel, since 1959 director of the Swedish Parliament’s retirement home Haus Victoria in the renowned Berlin suburb Grunewald. But how did Svingel feel the most popular mayor? ”Carl Gustaf also knew West Berlin mayor Willy Brandt, whom he apparently met in Stockholm during the war years … Willy Brandt could call him in the middle of the night if it were”. Then the friend writes since his early childhood, Hjärtumprostens son Bengt Wallerius, in the yearbook from Hjärtum’s hometown association. 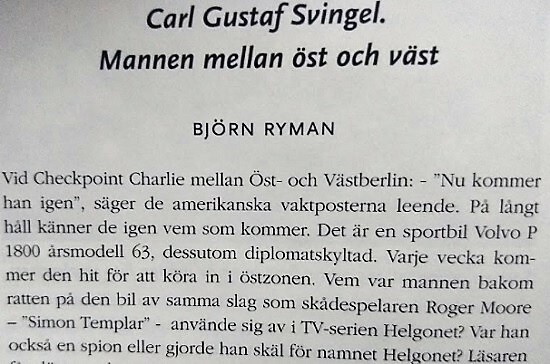 In the nine-page article about Svingel, Spiegel explains: ”As a member of the resistance movement during German occupation, Svingel learned Dag Hammarskjöld (later UN Secretary-General) and in Stockholm contacted young diplomat Raoul Wallenberg, and acquainted with emigrants Willy Brandt and Bruno Kreisky (later Austrian Chancellor). Spiegel’s historical writing was correct during the war, Svingel was trained at the Stockholm Opera. The same can be true of his company with the princes Sigvard and Gustaf Adolf, the latter German-born, with an archbishop of a father-in-law. Guests at Carl Gustaf Svingel in the early 60’s. From the left, the church of the Victoria Assembly, Heribert Jansson, East Lundborg (Consulate General Berlin 1960-64) and Rut Brandt. Source: Imma Svingel’s archive. Adenauer hears from the DDR speakers an old schlager when he gets out of Mercedeslimon: ”Then the old Indian chief speaks – the west is crazy, the job is hard.” (The only time Adenauer laughed when he met Brandt said that). A swarm of coaches with loudspeakers on the roof gives answers to speech from West Berlin, barbed wire study called. The word war keeps the people close to the wall waking up at night. Inside, Adenauer was easily relieved when he saw the wall. There was nevertheless a better alternative is an occupation of a city that was impossible for the Allies to defend. The Federal Chancellor had even brought the idea of ​​changing West Berlin to rural areas in the southwestern GDR. In July, a thousand people from East Germany fled every day, largely young and well educated. 3-4 million had left the country since the end of the war. Ulbricht, the GDR leader, had no choice, even though in June he calmed the world with ”no one intends to build a wall”. Certainly, large amounts of building materials and barbed wire were bundled, largely purchased in the west. Despite that, many were taken to bed on August 13th. The chill between the CDU leader Adenauer and the Social Democrat Brandt is seen in the pictures taken August 22. 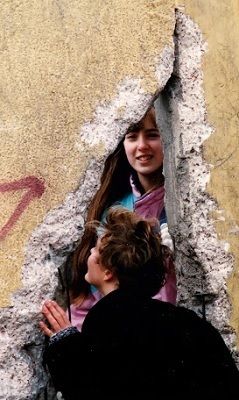 Nine days have passed since East Berlin was blocked. The federal chancellor is criticized for delaying the Berlin visit and instead devoted himself to campaign against Willy Brandt before the chancellor’s palace September 17th. Willy Brant was bullied in the debates by Adenauer as ” Willy Brandt alias Frahm ”, with the adventures of the exile and his unborn child. The only picture this day where Brandt laughs is that along with Carl Gustaf Svingel. If now the picture was taken August 22? Vice President Lyndon Johnson arrives at Berlin along with Kennedy’s military emissary Clay, the general who organized the air bridge to the city in 1948. Together with Brandt, they receive two motorized regiments that run on the president’s orders by the automobile through the DDR. Behind the barbed wire barriers, NATO’s ruler in Europe, General Bruce Clarce, is watching with Brandt soldiers and armored vehicles between the pillars of the Brandenburg Gate. The same general appears in the second picture next to the mayor and Carl Gustaf Svingel. Patterned tie is an indication. 350,000 West Berliners participated in the reception. That Svingel was in when Brandt held a praised speech outside Schöneberg Town Hall in southern Berlin is a good guess. Note the tie. That same day Rudolf Urban and his wife throw themselves out of the window of the house on Bernauer Strasse. They are injured on the sidewalk, which belongs to West Berlin, and Rudolf dies one month later. On August 24, Günter Litfin becomes the first death penalty for the people’s bullets. He was shot from a railway bridge when he swam in the Spree River to get to his apartment on the west side. At 00.00 in the East Berlin battle battle in the barracks. Up to 15,000 men, mostly military and police, are transported to the sunbathing area. At one o’clock the streets are blocked by pavements of asphalt and cobblestones. Neighborhoods are woken by the compressed air drills. Piles are raised to carry the wire rope, largely purchased in the west. Passage is only on thirteen streets. In total, 30,000 East German workers are put to work. 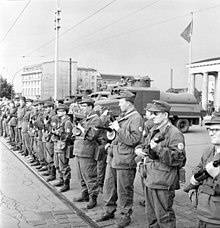 Operation Rose is flagged from the East German news agency ADN, announcing that border controls are being set up to stop revoltist and militaristic forces in West Germany and West Berlin. At two o’clock, Västberlins RIAS broadcast shifts with: Major contraction of communist police at the border between East and West Berlin. Later there is a morning star on the radio: The clock is five, the square in front of the Brandenburger Tor. 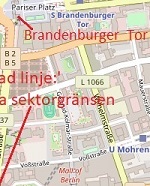 You see a barrier that blocks Eberstrasse, behind the road worker. At eight o’clock, RIAS reports: We see police in work clothes and customs officials. On the other side, Brandenburger Tor stands about 30 trucks and one fifty in uniform as guardians. West Berliners who have been to the taverns and theaters in the East wander home in the warm summer night. They discover that the subway and the commuter train do not pass the zone limit anymore. Because it’s a Sunday, few East Berliners are working in the West, but many are there to greet friends and relatives. Makar and fasting people are separated for good. The clock is nine this sunday morning in the guest house Haus Victoria calls Imma Grossman’s housekeeper for breakfast with the gonggong. (Probably Carl Gustaf Svingel held up with songs and games on a harmonium that he used). At breakfast at Haus Victoria, the manager tells about the lockout for his guests. At the same time, Willy Brandt visits Brandenburger Tor, where carburetted water cannons keep curious at distance. The mayor has been on the election tour and woke up on the night train to Kiel. 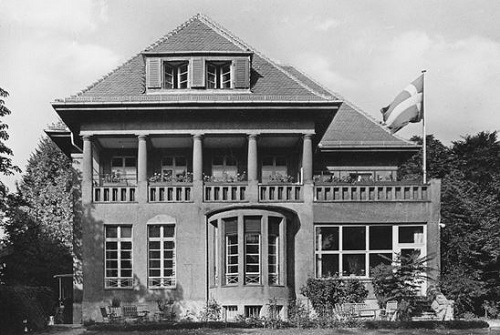 Svingel opened the guesthouse a year earlier to give ages in the church a month’s recreation. Some were Swedish citizens and the other Swedes who were married to Germans. Despite the horror of the war, they had stayed. The currency boom in 1948 and perhaps the 20th century inflation contributed to the fact that they lived in small circumstances. Especially those in the East, they had a better grip. This day they listen eagerly to the radio instead of the usual walks in the Grünewald forest or to greet the family. They usually have few pocket money so they can shop in Berlin. For the residents on the east side, it is an experience, as much as the banquets of bananas in the fruit salad. Swing is busy on Sunday to collect heart medications, syringes and vaccines from the pharmacies. With Swedish passport and CD-labeled car, Svingel easily gets through Checkpoint Charlie to Charité University Hospital, which will be the starting point for awards in the years to come. But it would be time to 1964 before newcomers came from East Berlin. Instead, the 28 rooms were filled with monthly visitors from the west side, partly from the refugee camps, many of which were too bad. In the largest, in Marienfelde southwest of Grunewald, the number of refugees increased from 20,000 in June to 30,000 in July. Then the number decreased and then Haus Victoria cared for injured persons who moved to the west. John Kennedy crosses with guests in the yacht Marlin outside Hyannis Port when he receives an urgent bid. The president hurries ashore and calls his counselors. ”The wall is a fan of me better than a war,” he says. Then Kennedy goes out with the boat again, as obsessed as England’s prime minister Haorld McMillan, busy with chasing geese. Nor did Charles de Gaulle cancel the holiday and go to Paris. If the West Side leaders were not sick like Kennedy, they were too old to be disturbed. Despite the raids of the Russian tanks, the West Bank reached. Third World War had to wait. That same evening, Willy Brandt in Västberlin’s state parliament demanded powerful instances from his Westerners. East’s illegal acts characterized that the powers of darkness blocked West Berlin as a concentration camp. Kaxigt, who does he think he is considered Kennedy. On the other hand, Brandt calmed down his Berliners, and his police held them away from the barracks in order to avoid confrontations. Nikita Khrushchev underestimated new-born President Kenndy during the June summit. Walter Ulbricht saw the DDR emptied on his citizens and pressed in Moscow to block West Berlin. Khrushchev put an ultimatum to the West, trade or otherwise, the East Germans will take over the kiss so that the fire treaty no longer applies. Even though Kennedy had been full of the war in Laos and a failed Cubainvation, he showed a firm stance in Vienna. The stormy zones apply, with or without lockouts. July 25, Kennedy says that West Berlin will be defended at all costs. Decisions are taken on increased defense budget and the troops are strengthened by up to 200,000 men. Half of the strategic bombing is at 15 minutes standby. In Europe, three US Army Divisions are placed in the highest preparedness. In the Grunswald forest not far from Haus Vicoria, the militaries train from the US 6th Infantry to give Russia a clear signal. Carl Gustaf Svingel goes to Östberlin every two weeks with medicines to hospitals and goods missing from the congregation brothers. Everything is transported in the car, such as: engine oil, spark plugs, caverns and gold leaf to tombstones. The contact with the Eastern Secretary General Secretary Manfred Stolpe leads to Hans Segeweisser, the DDR State Secretary for Church Affairs. And to the lawyer Wolfgang Vogel; Swing’s counterpart in the refugee trade and at the same time a friend of his life. Vogel has a channel to Stassichefen Mielke. The first foundation stone is made for Svingel’s silent diplomacy between East and West. Charite Hospital is in urgent need of cure for meningitis. Svingel loads the preparations in the car and will pass Checkpoint Charlie, which is the only transit for foreigners. After the border crossing, he is stopped by two Russian tanks. The rear-view mirror looks clenched by two US tanks, whose soldiers tried to stop him from going to the eastern side. It also wants the Russian soldier to stop. But after a long discussion, their armored vehicles are backing up, he may be scared to go to the hospital. 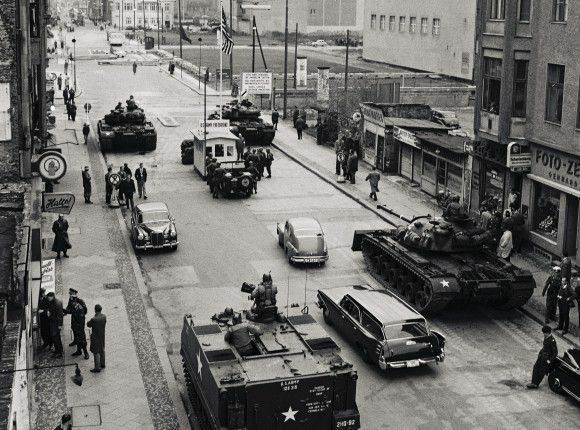 A Volvo PV444 passes Checkpoint Charlie in October 1961. Ovivot about Svingel already owned a Volvo P1800. The power measurement started with the fact that an American diplomat refused to show his ID for an East German police and not a Russian officer under the major treaty. The diplomat called Kennedy’s delegate Berlin representative, General Lucius Clay. He sent the tanks to the posting, meeting as many from the eastern side. The diplomat drove a turn on the other side and returned.